WESTON, Mo. — North Platte recorded the second-winningest season in school history but lost in straight sets in the Class 1 District 15 championship game Oct. 22 at West Platte High School. 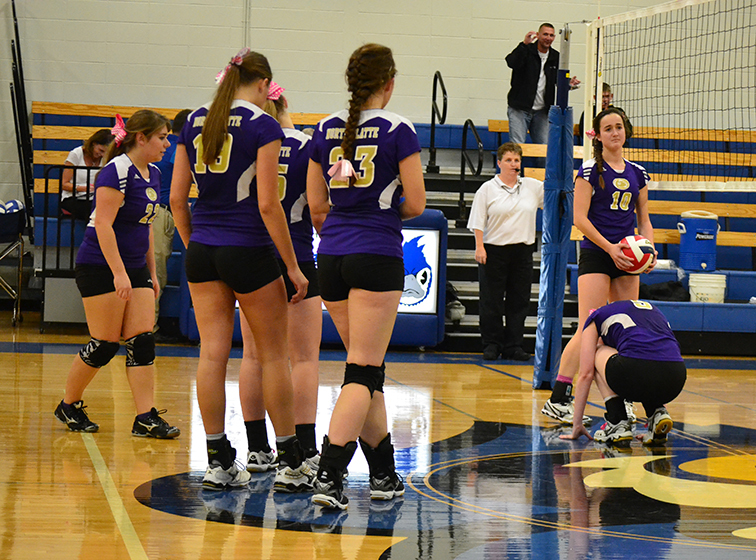 Kansas City Lutheran took the title with a 25-16, 25-15 win, but North Platte made its first trip to a district championship game in more than a decade. North Platte (26-9) — the KCI Conference Tournament champion and regular-season runner-up — finished one win shy of tying the school record for wins in a season. After a lopsided first-set loss, the Panthers jumped out to a 7-3 lead, prompting a timeout from Knights head coach Lee Rudzinski. Lutheran went on a 13-3 run to prompt McInnis’ first timeout, but North Platte couldn’t recover. “I told them to calm down a little bit and to have fun,” McInnis said. “I said ‘it didn’t look like we had much fun the first set.’ They said they didn’t. The second one they relaxed and had a good time. Things went well for a little while. We just couldn’t keep up. Lutheran was just better tonight." To reach the title game, North Platte downed its rival and hosts for the third time this season. West Platte won the final regular season meeting between the two to take the KCI title, but the Panthers were quick to assure they would win the season series. Katie Heese recorded 18 kills, Katelin Dillee notched 34 assists and Maddie Lee collected 20 digs in a 24-26, 25-23, 25-17 thriller Oct. 21. North Platte loses four seniors off of this year’s squad including: Dillee, Scout Montgomery, Baylie Wilson and Ryann French.